Share the post "Quick plays: VIANA, FERNANDO PERDOMO, JET RED"
Stefano Viana is an Italian guitarist, songwriter and producer who released his self-titled debut album in 2017. For album number two he has signed with Escape Music and enlisted vocalist Bryan Cole (Giant, Steel City, solo artist). Joining them are various guests including Terry Brock (Strangeways, the Sign, Giant et al) on backing vocals and guitarist John Roth (Giant, Winger, Starship). It will come as no surprise that the album sounds like a mix of Starship, Giant and other late 80′s/early 90′s melodic rockers. ‘We Can’t Choose’ sounds like Starship circa that band’s underrated ‘Love Amongst The Cannibals’ album, complete with plenty of glorious backing vocals. 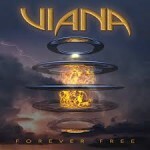 You can almost feel the summer breeze on the melodic rock of ‘Live Free Or Die’ and ‘Forever Free’. All this and only one real ballad, ‘Do You Remember’, which features a heartfelt vocal and soaring guitar solo as you’d want and expect on this sort of album. Bryan Cole has a voice perfect for this style of music (check out his solo album released a couple of years ago on MelodicRock Records, well worth a listen). Fernando Perdomo has released four solo albums prior to this one and he is also guitarist and bassist with the Dave Kerzner Band (who also makes a guest appearance on here). His lifelong dream was to record at Abbey Road Studio 2, inspired mainly by his love of the Beatles. It is a melancholy record in parts, with the wistful look back at days pasts on ‘Sundays’ and ‘Home’. The production throughout is spot on (not all the songs were recorded at Abbey Road), featuring strings, piano and the sublime guitar playing of Fernando Perdomo, which is highlighted in the instrumental ‘Not Meant To Be’. ‘We Were Raised With Headphones’ will resonate with anyone raised on guitar driven music and would make for a good single. The Beatles influence can be heard loud and clear on the title track, from the style of guitar playing through to the psychedelic undertones recalling the ‘Sgt. Pepper’ era of the Fab Four. It packs a lot in musically in its seven minutes. As a special treat the album closes with a cover of ‘While My Guitar Weeps’, chosen as it was 50 years ago that the song was recorded in the same studios. It stays faithful to the original and features an array of vocalists including Diane Birch, Shawn Lee and Jason & Daphna Rowe. 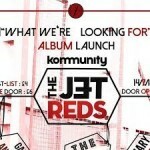 There is a slight retro feel to The Jet Reds, at times slightly jangly pop their sound is Britpop influenced with indie leanings, and debut album “What We’re Looking For” features some Johnny Marr like guitars here and there. Opening track “Unpredictable” is exactly that as it is a little on the tame side and may have been better dropped a few tracks into the album. “The Real Thing” is pop with a reggae lilt and features The Specials’ Neville Staple, different to the rest of the album this actually fits in quite well. “Fields” is a slightly more driven song and the album is rounded out by “Time To Fly”, which starts off sparse but the heavily features a female vocal to great effect. This entry was posted in ALBUM REVIEWS, ALBUM REVIEWS (Mobile), All Posts, Quick Plays and tagged Abbey Road, album, Bryan Cole, Dave Kerzner Band, Fernando Perdomo, Giant, Jet Red, mlelodic rock, pop rock, progressive, review, Terry Brock, The Beatles, Viana, Zebra Crossing. Bookmark the permalink.